LMK-235 is a selective histone deacetylase (HDAC) 4 and HDAC5 inhibitor. Splitomicin is a selective NAD(+)-dependent histone deacetylase Sir2p inhibitor with IC50 of 60 uM, showing a higher activity in a cell-based assay. 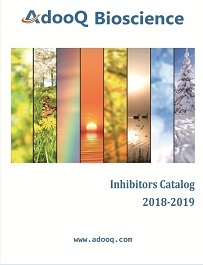 Nexturastat A is an aryl urea derivative that acts as a potent and highly selective inhibitor of histone deacetylase 6 (HDAC6) (IC50= 5.02 +/- 0.60 nM).